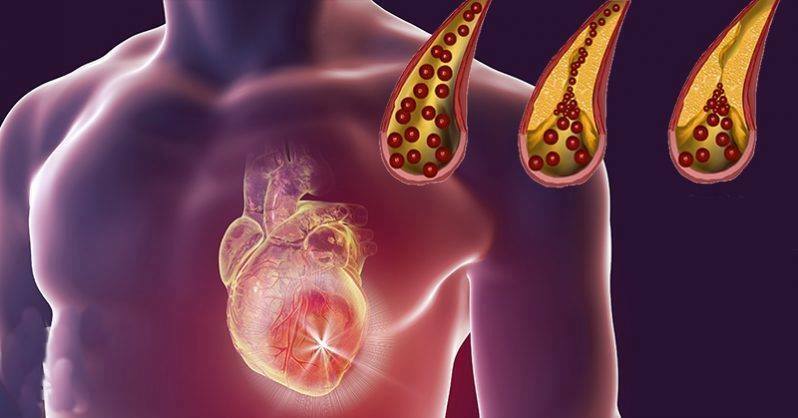 Clogged arteries are usually caused by high blood pressure and high cholesterol levels. The main role of arteries is to transport oxygen-rich blood from the heart to the rest of the body, and they should be elastic, flexible, and strong. Yet, if clogged, they lead to serious health risks, including atherosclerosis, the major cause of cardiovascular disease, heart attacks, strokes, and peripheral vascular disease, strokes. Carotid arteries: When you have clogged arteries in your brain, it is a condition called carotid artery disease. The plaque will block or narrow the carotid arteries, and signs of a stroke may be present. Symptoms include breathing problems, sudden weakness, confusion, severe headaches, loss of consciousness, blurry vision, trouble with speech, paralysis, trouble walking, dizziness, unexplained falls, and loss of coordination or balance. Coronary arteries: Coronary heart disease occurs when the arteries of the heart are clogged, and there is not enough blood to reach the heart. This causes shortness of breath, indigestion, chest pain, and squeezing the chest, jaw, neck, arms, shoulders, or back. Renal arteries: When the renal arteries are clogged, one develops chronic kidney disease, which reduces the function of the kidneys. In this case, a person does not experience any early symptoms, but as the issue aggravates, symptoms might include fatigue, appetite loss, concentration issues, numbness or itchiness, and swelling in the feet or hands. Peripheral arteries: Peripheral arterial disease occurs as a result of the blockage of narrowing of the arteries in the arms, legs, and pelvis, leading to pain and numbness. This natural antibiotic lowers blood pressure, prevents heart disease, and slows down atherosclerosis, lowering the risk of heart attacks and strokes. Lemon is rich in vitamin C, a potent antioxidant that strengthens the arteries, treats inflammation, lowers total cholesterol, increases high-density lipoprotein (HDL), and inhibits platelet aggregation. It has powerful anti-inflammatory and anti-oxidative properties that protect against the accumulation of plaque in the arteries, and lower cholesterol, aortic atherosclerotic lesion areas, decreases triglycerides in the blood, LDL-linked fat peroxides, and LDL aggregation. It is a rich source of antioxidants and punicic acid that inhibit the accumulation of plaque in the arteries and thus lower the risk of atherosclerosis. Cinnamon has been linked to a lower risk of heart disease and atherosclerosis, lowers total and LDL cholesterol, as well as glucose, and triglyceride levels. Its active compound known as 3-94-hydroxy-3,5-dimethoxyphenyl prevents the development of aortic atherosclerosis in high-cholesterol-fed rabbits, while fermented cabbage is also able to degrade toxic chemicals, including bisphenol A and the insecticide chlorpyrifos. This popular spice has powerful cardioprotective effects, known for centuries, and it lowers LDL cholesterol and prevents the buildup of plaque in the arteries and artery damage due to carotid artery blockage. Ground flaxseed is full of fiber that supports healthy arteries, alpha-linolenic acid, an omega-3 acid that lowers blood pressure and fights inflammation, and decreases the risk of hypercholesterolemic atherosclerosis. Its active compound capsaicin lowers LDL cholesterol in the blood and reduces the risk of atherosclerosis and pulmonary artery hypertension. It will help you to prevent blocked arteries, lower cholesterol, inhibit atherosclerosis lesion formation, and reduce triglycerides, and LDL cholesterol levels. “A heart-healthy diet contains plenty of good fats and low amounts of bad fats. Add more good fats to your diet -- Good fats are also called unsaturated fats. They’re found in foods like olives, nuts, avocado, and fish. Cut sources of saturated fat, such as fatty meat and dairy -- Choose lean cuts of meat, and try eating more plant-based meals. Eliminate artificial sources of trans fats -- Most artificial trans fats are found in processed, packaged foods like cookies and snack cakes. Increase your fiber intake -- Soluble fiber helps to lower your LDL. You can find soluble fiber in foods like vegetables, lentils, beans, and oats. Additionally, increase the intake of coconut oil chia seeds, avocados, broccoli, and asparagus, and take supplements and nutrients vitamin B6, choline, folic acid, and vitamin B12, and antioxidants, like lutein, vitamin C, vitamin E, lutein, zeaxanthin, grape seed extract, and pine bark extract. Finally, make sure you are physically active and exercise regularly, at least half an hour daily, three times a week.